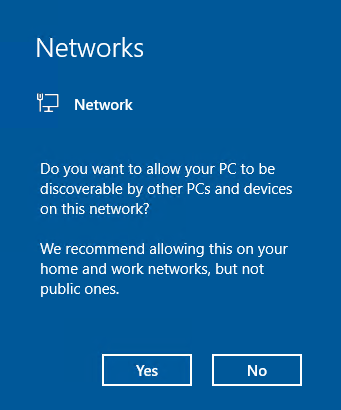 I always set my network location to public when Windows prompts me to classify a network the first time my PC is connected. This works well most of the time but there are certain Windows features that require the network location to be set to private to function such as PowerShell Remoting. 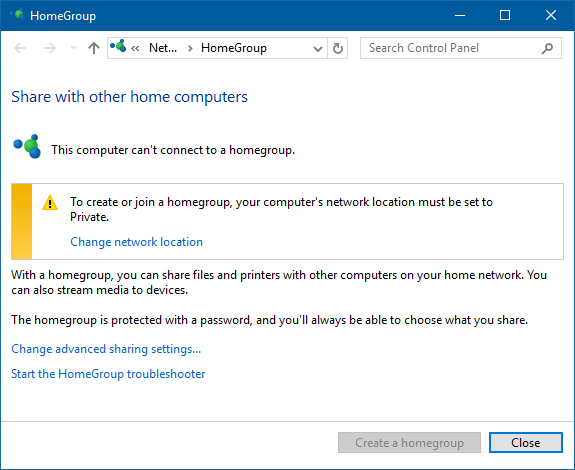 If you need to change your network location setting from public to private, the easiest method is to use the HomeGroup settings window. Hit the Start Button, type in homegroup and hit Enter. Click on Change network location. That’s it, your current network location has been changed from public to private. Feel free to close the HomeGroup window now.